Spinal Track is a charity which provides free track days in adapted cars for enthusiasts with disabilities. It was founded in 2016 by racing drivers Nathalie McGloin and Andrew Bayliss. Next month, rally driving will also be on the menu, with the Spinal Track Rally Experience, the first of its kind where rally cars are provided solely for the use of disabled drivers – giving them the chance to take to the wheel and learn how to drive an RWD rally car on gravel. Nathalie McGloin is the only female tetraplegic racing driver in the world, and last month she became the first female with a spinal cord injury to pass the British Association of Rally Schools (BARS) rally driving exam. 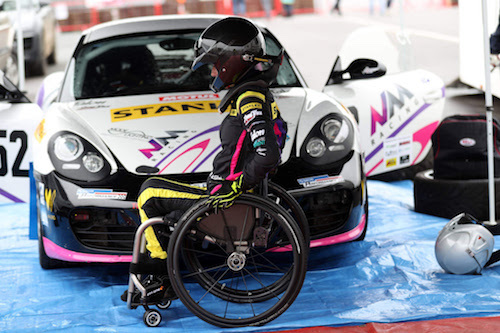 With her newly-acquired rally licence, Nathalie also made history on 3 March 2019 by becoming the first woman with a spinal injury to compete as a driver in a rally, at the Donington round of the MSN Circuit Rally Championship. She competed in her Porsche Cayman S and was the first entrant to be confirmed in the new ‘GT’ class. This is a newly-formed class within the UK allowing larger engined cars to take part in rallying. The Spinal Track Rally Experience is based at the Bill Gwynne Rally School at Turweston Aerodrome, Buckinghamshire. 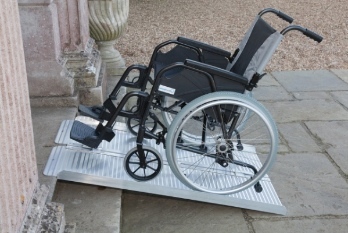 The charity can also offer BARS licence training/exams for disabled drivers. In addition, participants will have the unique opportunity to take their driving beyond the initial experience by taking part in a Motorsport UK sanctioned rally. There is no charge for drivers with disabilities to take part in the Rally Experience. Events are funded by Spinal Track, supported by the Richard Burns Foundation, who sponsored the purchase, modification and build of two automatic Toyota GT86 cars, which feature hand controls. Each of the two cars has a different hand control fitted and one also has a left foot throttle installed, in order to suit as many drivers as possible. Both cars have bucket seats, harnesses, long travel suspension and a cage fitted. The half-day Spinal Track Rally Experience focuses on teaching rally techniques and the skills required to drive like one of the WRC greats. Before each event, a dedicated, experienced instructor will construct a programme tailored for the individual driver, based on the conditions and the ability of those taking part, enabling them to get the best from the day. The instructor will accompany the driver, who will safely experience all the thrills and spills of driving in rally conditions, including learning how to drive sideways, handbrake turns and Scandinavian flicks. As with Spinal Track Driving Days, the Rally Experience is provided free of charge (a deposit is required to secure the booking). Those wishing to register their interest can make contact through the Spinal Track website to be added to the waiting list (external link will open in a new browser window).